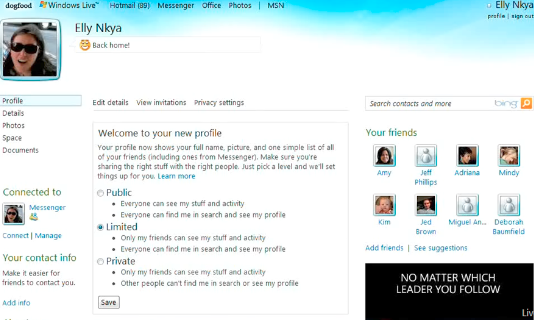 The next wave for Windows Live products will have a special focus on social networking. 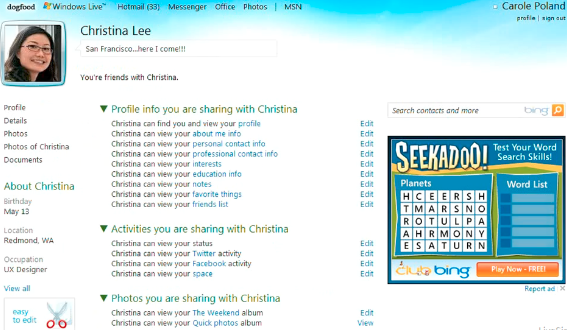 Many points need to be considered by Microsoft before allowing any social networking integration. The biggest concern is privacy. Normally users are not in complete control of their information and privacy online. But Windows plans to change all that. Wave 4 will not be a social network within itself but just a tool to merge our existing accounts on Facebook, Twitter, Flickr, etc. Microsoft plans on simplifying the privacy features so that users can fully understand them and consequently fully control them. From recent screenshots of the Wave 4 interface, we can see that Wave 4 replaces the dropdown menus we see on different networks by sliders. These images are all presented at LiveSino, a Windows Live enthusiast site. The site goes on to explain that on first run, Wave 4 will ask users to select a privacy option from 3 predefined privacy modes. Once we choose our options, we can micro-configure them and make them as detailed as we want. We can configure the options for each contact if we want as well. These privacy options will simultaneously achieve the goals of being simple yet comprehensive. These screenshots are a great piece of news for all social networking accountholders who are tired of their network’s constantly changing and complicated privacy options (Facebook is the best example for this). In terms of privacy, Windows Live Wave 4 seems to be everything we want. 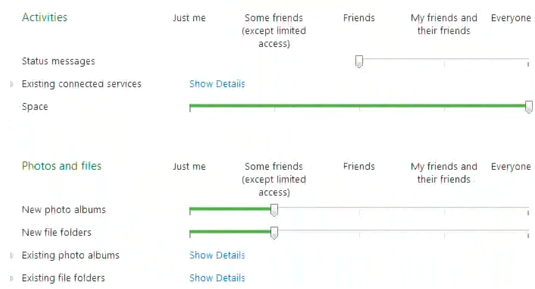 The privacy features sound interesting, but Microsoft doesn’t seem to have great luck developing “people products”.